Leather Construction: Made with top grain and cut-resistant leather. 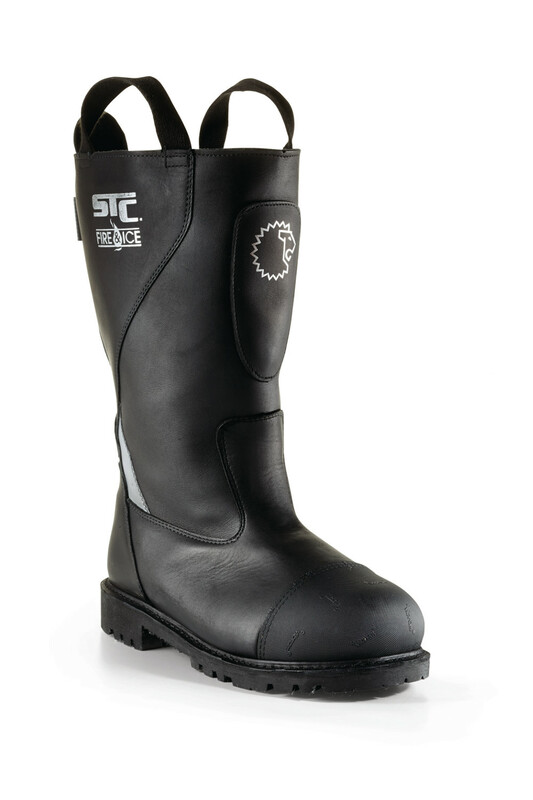 Steel Toe:Tempered steel safety toe. Exceeds CSA Z195 Grade 1 rating. Waterproof:Uses waterproofed leather to provide protection from liquid splash. Fire Resistant:Treated leather provides fire resistance. Compliant: Certified to meet NFPA 1971 Structural Firefighting, NFPA 1971 Proximity Firefighting and NFPA 1992 Liquid Splash requirements. Advanced Fit Features: Included Lock-Fit Ankle Support System™ – an integrated anatomical ankle padding system. Puncture Protection:Features Pierce-Protect Arch Protection System™ (patent pending). Provides multidirectional puncture protection. Versatile:Allows firefighters to wear the same boot for structural firefighting and proximity firefighting operations.